The idea of my blog is to learn about Italian cooking by testing recipes I have found from different sources. Yet in real life, I do come up with my own little recipes from time to time too. 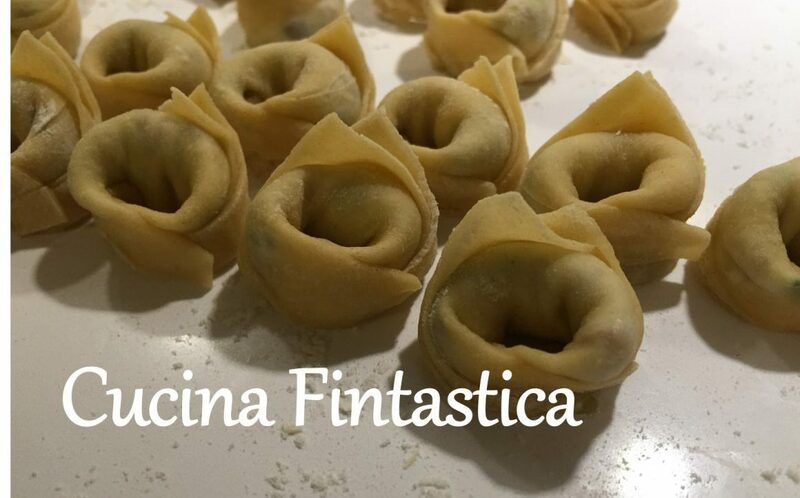 And since for this blog I have no manager to answer to, I can really post here whatever I like (at least until Cucina Fintastica becomes a supermega success with the amount of sponsors to challenge Jamie Oliver and Nigella Lawson combined). Who knows, you might even like it… At least I quite enjoyed this potato salad tonight! So today’s dish has very little to do with Italy although a quick Google search tells me that there is a broad range of Italian recipes of potato salads available too. Maybe I will give them a try later. Anyway, I got the inspiration for this dish after buying new potatoes of this season and realising I had some leftover yoghurt and asparagus readily in my fridge. Obviously lemon is the BFF of asparagus but I also liked the creamy yet fresh twist of the yoghurt with it! Clean the potatoes and cook them in salted, boiling water until ready. In another kettle, bring a sufficient amount of water to a boil, add some salt and lemon juice and the asparagus. Cook for a few minutes. Mix the yoghurt with the lemon zest, a bit of lemon juice, honey, salt, mustard and olive oil. Cut the cooked potatoes and asparagus into chunks and chop the spring onions. Place them into a bowl, pour the yoghurt dressing onto them and mix well. Add fresh mint, salt and pepper to your taste. Serve with e.g. fresh salmon. Only after just writing the title of this post, did I realise what a complicated name this recipe has! It alone hinders any attempts for this dish to become such a worldwide hit as spaghetti alla carbonara or panna cotta although in terms of flavour and simplicity it would certainly deserve its share of recognition outside the Italian borders. Maybe I’d better have a word about this with the editor of Cucina Moderna (from which this recipe originates). Or maybe the name is in fact a clever strategy to keep this chicken dish an Italian national top secret? If it is, I am now sharing it with the rest of the world anyway, ha! Errr, anyway, there were a few other slightly more relevant things to point out about this secondo… One of its key ingredients is artichoke. I am quite a fan of the vegetable although I have never really used it in my cooking before (an occasional pizza topping from a tin doesn’t really count in my book). This time my plan was to buy them fresh and learn how to chop them properly. However, after discovering that a couple of fresh artichokes in my supermarket cost nearly as much as a three-course meal in Italy (ok, I may be exaggerating slightly although Helsinki is expensive…), I bought some frozen and more reasonably priced Italian artichokes instead. They were certainly quite handy to use although on a negative side, the art of preparing fresh artichokes hence still remains a bit of a mystery for me. What I did learn though, was the trick of using flour with your chicken. I have never been a very big fan of schnitzels, chicken nuggets and other fried food. However, in this case the amount of both flour and oil is quite moderate compared to those deep-fried calorie kings. Yet, the flour covering the chicken slices helps them gain more flavour by absorbing the beautiful aromas of artichokes, oranges and lemon. Thus, that is the secret power of flour! Clean the artichokes (if you are using fresh ones) and chop them into slices and dip them in water with the lemon juice. Melt 20 g of the butter in a pan and add the artichokes. Cook gently for 5 minutes with the orange zest (if you are using frozen artichokes, you can add the lemon juice at this point). Season with salt and pepper, add the milk and continue cooking for about ten minutes (fresh artichokes)/ a few minutes (frozen artichokes) until the artichokes are very soft. Mix one of the artichokes, the sauce and the grated parmesan in a blender, and pour the sauce onto the remaining artichokes. Cover the chicken slices with the flour (if the fillets of chicken breast are very thick, you can first beat them with a kitchen hammer to make them thinner and then slice and add the flour). Heat some olive oil (~1-2 table spoons) and the remaining butter in a pan and fry the chicken slices for about 5 minutes by stirring occasionally until cooked. Add the artichoke sauce, the mint and season with salt and pepper and let the dish gather flavour for an additional 2-3 minutes. Serve with e.g. mashed potatoes, rise or pasta of your choice. Today I think I may have found something that is even more unphotogenic than I am: this dish. I apologise for the silly faces posing with it but I felt compelled to add something to distract from the ugliness of the peas. Yet, if you leave aesthetic questions aside, it is in fact quite a nice side dish! Yes, my version is quite similar to what the Brits call mushy peas, since I had to modify the recipe (from another Italian cooking magazine “Cucina Moderna”) a bit and use frozen peas as broad beans were not yet available in Helsinki this spring. However, even if you have to resort to peas as I did, a hefty dose of pecorino will still guarantee that this culinaristic journey will take you to a cena italiana rather than a Sunday roast! Cook the beans in a good amount of salted water for 15 minutes and drain them. Head some olive oil in a frying pan and add the crushed garlic cloves. After 1-2 minutes, add one ladle of hot water and cook for five minutes. Mix the beans, garlic water, and a handful of fresh mint in a blender. Add the pecorino and season with salt to your taste.